Grandma fails driving test 771 times | What Car? 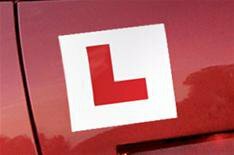 Struggling to swot-up ahead of your written driving test? Well, you'll get no sympathy from a wannabe driver in South Korea who has failed the written exam an amazing 771 times. The 68-year-old grandmother has taken and failed the written test repeatedly since April 2005, falling short of the 60% needed to gain a pass each time. The woman, identified only by her family name Cha, sells food and household items door to door. She currently carries her wares in a handcart, but wants to pass her driving test so she can deliver items by car. Mrs Cha will be allowed to take the practical test only when she has passed the written test.